Pollen, Honey, Royal Jelly, Multi-Vitamins - Which is the Best? There are many bee-related products which one can take for health and beauty. Pollen, honey, royal jelly... it's no wonder we're confused. How to choose? Which one has the highest health-enhancing benefits? Nutritionists say pollen is the most complete health food among them all. Why? Because pollen offers the richest and most varied nutrients, which are available in proportions closest to what is needed by the human body. In contrast, honey comprises mostly starches and has very low contents of other nutrients such as minerals and proteins. As for royal jelly, while it does contain proteins, minerals, starches and fats, they are available in proportions that are not even close to what is needed by the human body. 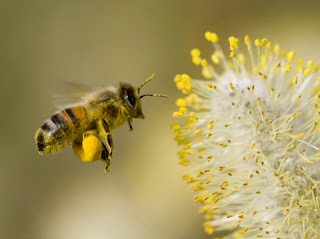 That explains why Pollen is the most efficacious compared with honey and royal jelly. Now you many have another burning Question.. 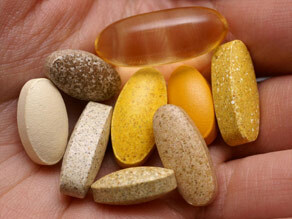 The multi-vitamin pills sold in the market today generally contain minerals and other nutrients in addition to vitamins. How do they match up to pollen products? The multi-vitamin pills sold in the market today are mostly made up of synthetic nutrients that cannot be completely assimilated and metabolized by the human body. In fact, some of the sub-standard ones may even incur burden to the body or, worse, cause poisoning. As pollen is a natural health food, it does not bring about any known side effect with its daily consumption. There is no restriction on amount consumed because it will never accumulate in the body or cause discomfort. Very importantly, pollen offers a complete spectrum of nutrients that can be readily assimilated and utilized by the body. Now you know which is the best among pollen, honey, royal jelly and multi-vitamins, please choose wisely. Or you may contact me at laifuiping@gmail.com if you want to buy Yung Kien Pollen.